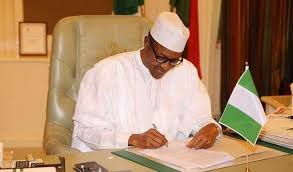 A coalition of non-governmental organisation, under the aegis of Forum of Non-governmental Organisations in Nigeria (FONGON)‎ has described the letter written by former President Olusugun Obasanjo and statement of former Head of State, Ibrahim Babangida to President Muhammadu Buhari, as distraction to the current government. The NGO, which is a formation of about 200 non-governmental organisations (NGOs) with a total membership of three million members spread across the country, said the letters are from people who want to divert the attention of President Muhammadu Buhari from fighting corruption. Speaking at the rally in Abuja, yesterday, the national coordinator of the group, Comrade Wole Badmus said, “Mr President, we have chosen to come out this time because there seems to be an orchestrated and well-choreographed campaign going on across the country at the moment to demonize your administration and hoodwink unsuspecting Nigerians into believing that the administration has achieved nothing since assuming office. “The reason for this campaign, which is becoming increasingly violent, is simple; the Iooters, economic saboteurs and unpatriotic fellows are feeling the heat of your administration’s fight against corruption. They are earnestly yearning for a return to the immediate unedifying past in which the national treasury became the piggy bank of a few. They also want to pave the way for the return of the same people who brought the country to where it was before you assumed office. “Your Excellency, the recent spate of letter and memo writing is not an accident.